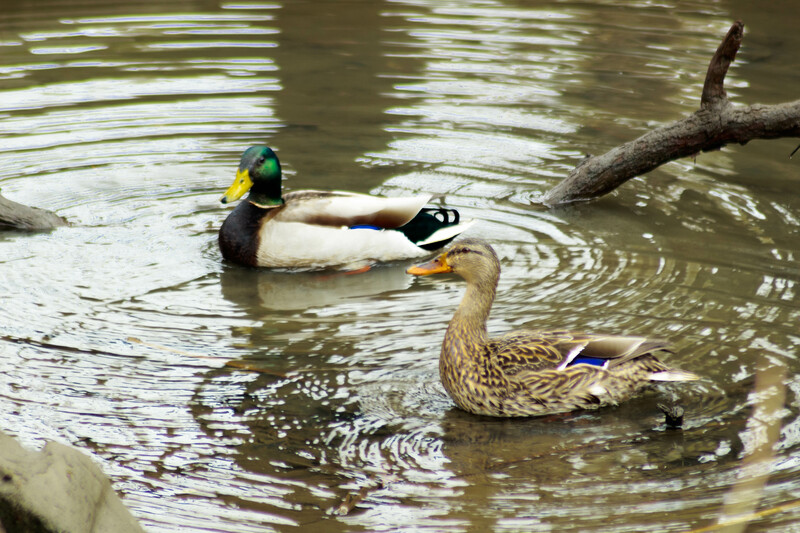 A pair of Mallards swimming in a creek. 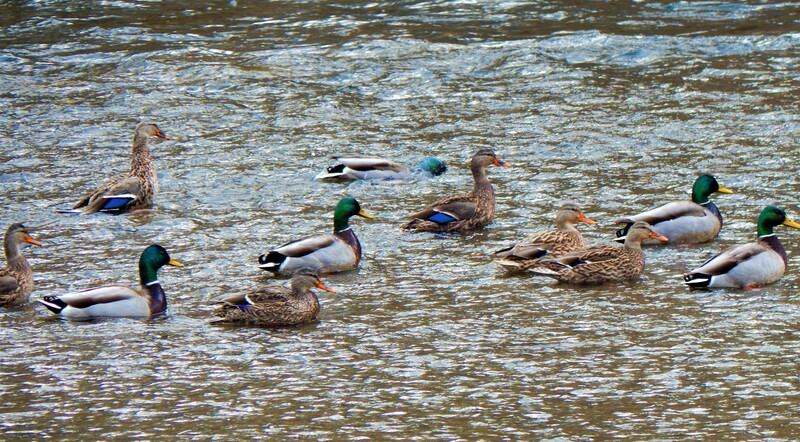 Mallards swimming in a creek. 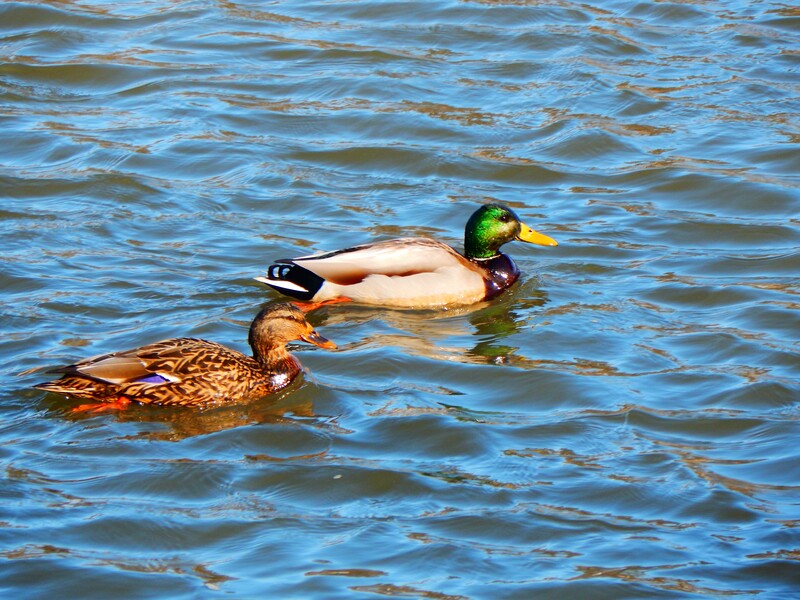 Two female Mallards and one male Mallard. 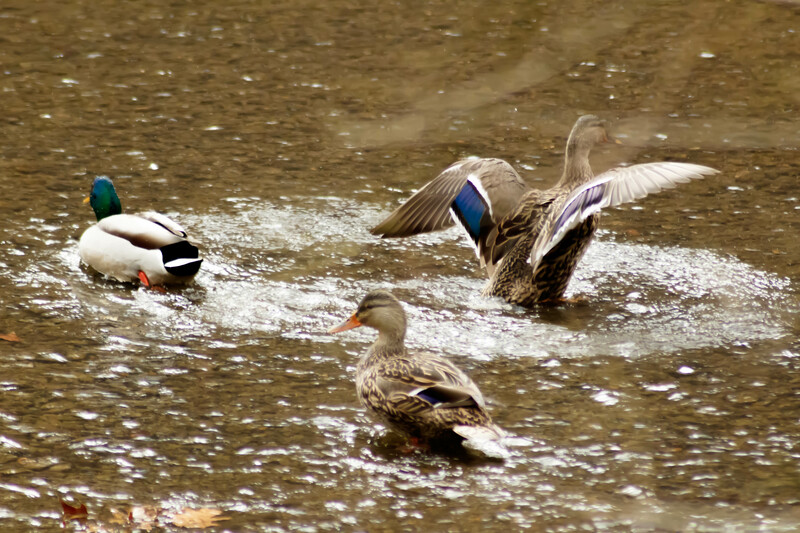 I love how you really captured all the colors of the feathers in the pictures. I’ve never really noticed how many there were before.